I think this was from December 2012, perhaps at a restaurant or a mall. 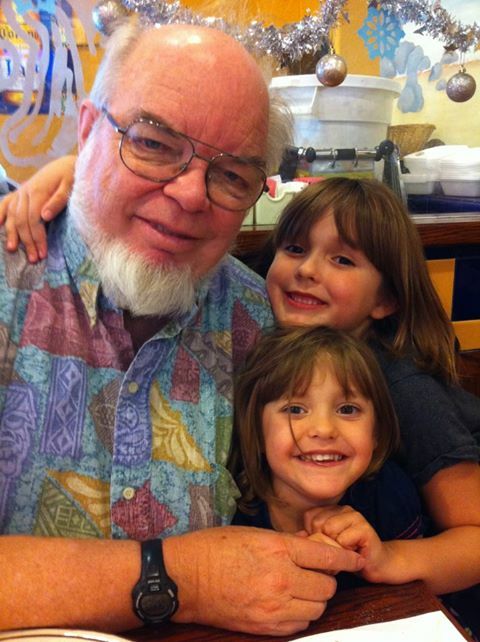 With me are my adorable granddaughters, Lauren (then 7) and Audrey (then 4), two of my seven descendants. I think my daughter Tami, the mother of the girls, took this photograph.